Ever since we launched the Solution Fluency Activity Planner, the response to it has been inspiring. To all our users, thank you for climbing on board with us—we're glad you're here! 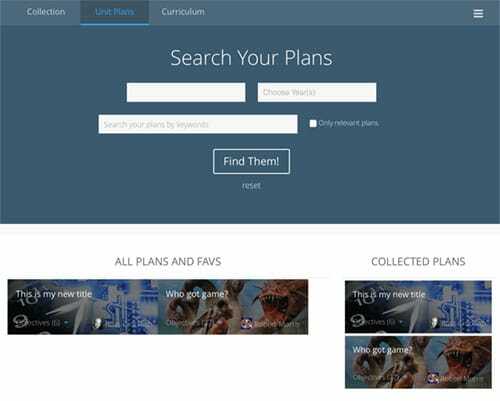 For those of you who haven't experienced the Activity Planner yet, you can check it out right here. We are constantly improving the user experience by updating and refining the Planner's features and adding new ones all the time. Today we've got two brand new goodies to brief you on. Please follow the links to each article in our Help Center for a full rundown of these awesome new features! Collections is a curriculum mapping tool that lets you compare any collection of unit plans against any collection of curricular objectives. You can organize a whole group of standards in a subject, a group of specific standards, or a group of cross-curricular standards to match with a group of plans that you’ve collected and plan to teach. 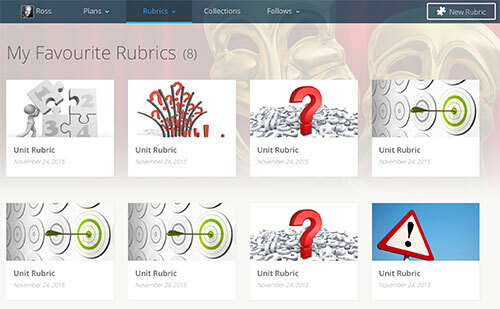 Our enhanced rubric features now let you create multiple rubrics in a unit plan. You also have the ability to create/favourite/search for rubrics like you can with unit plans. Favourited rubrics will appear in a new My Favourite Rubrics page. Create a collection of rubrics you've favourited or "loved"